100.8 Revival FM is a perfect medium for businesses to reach passionate people in a very cost effective way. 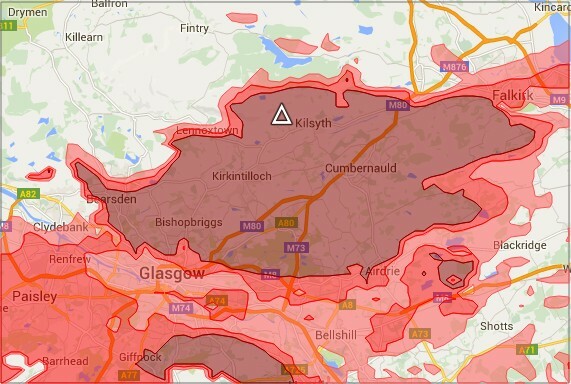 Within the 100.8 Revival FM reception coverage area there are 125,000 adults residing in and around Cumbernauld, Kilsyth, Kirkintilloch, Bisopbriggs plus a wider population in central Scotland from Falkirk to Glasgow. This 100.8 FM reception area map includes in-car FM listening covering the M80 route from Cumbernauld to Glasgow city centre; the M74 from Glasgow to join the M73 to the M80; the M8 from south Glasgow through Glasgow city to the M73. North of Cumbernauld, in-car reception on 100.8 FM is good on the M876 to the Falkirk area. Within this area, there is an adult population of 350,000. 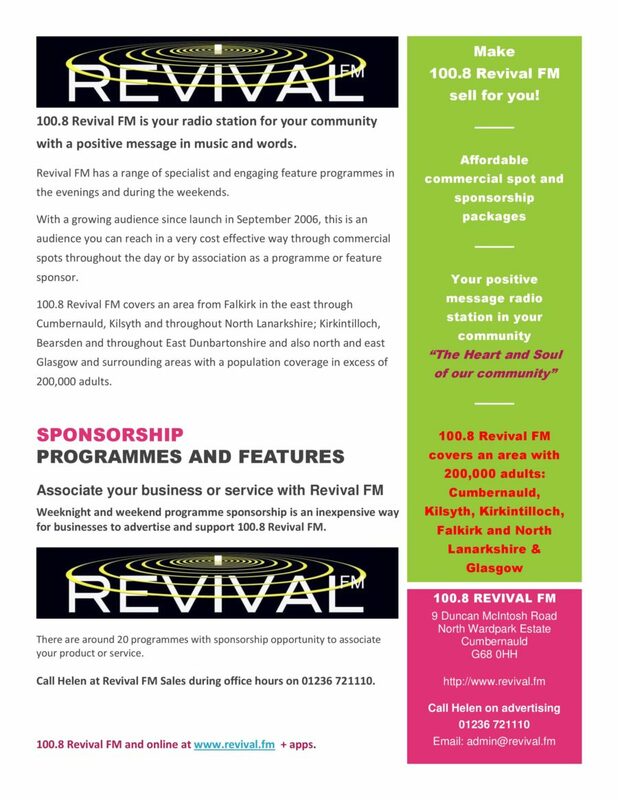 Within the indoor reception area of Cumbernauld, Kilsyth, Kirkintilloch, Lenzie and Moddiesburn there is a population of 125,000 adults and it is estimated that Revival FM reaches 8% (10,000) of the population every week based on industry research and research undertaken by Revival FM.